This animation explains the history behind the Mexican holiday, Día de los Muertos, and illustrates how it is celebrated. 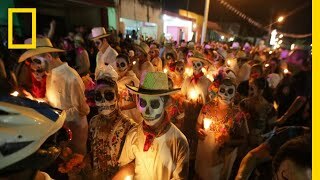 How is the Day of the Dead celebrated? What does the Day of the Dead celebrate? Why is this holiday about the dead a happy one?